When taped highlights weren’t available, WCCO sportscaster Ralph Jon Fritz used to draw stick figures on a piece of paper to show viewers what had happened in a game. Fritz, 78, died Wednesday in Florida after a long struggle with stomach cancer. In 2015, Fritz revealed his diagnosis. Last month, he signaled on his Caring Bridge page that the end was near. Don Shelby, who worked alongside Fritz for decades, recalled the time the two of them went fishing for one of the series’ episodes. Rosen said his friend never forgot the fact that he was a small-town kid from Sleepy Eye, Minn.
Fritz began his career in broadcasting when he was just 19, as an $85-a-week announcer on WAVN-AM radio in Stillwater. Star Tribune columnist Patrick Reusse wrote a tribute to Fritz last January after a visit to his home in Florida, where he retired in 2008 after a 40-year run at WCCO. A few anecdotes from that column showed Fritz’s keen sense of humor. “We had a freight elevator,” he said. “The only option was to run up the steps. Five flights. “I sit down and [anchor] Dave Moore says, ‘We would like to introduce our viewers to Ralph Jon Fritz, our new sports reporter.’ And I say, ‘Thank you, gasp, Dave, gasp,’ and then start reading the script, with a gulp for air after every two words. There was also a night when veteran sportscaster Hal Scott was taking his traditional nap between the 6 and 10 o’clock news on a couch in an unoccupied room. “Hal goes stumbling in there, hair all messed up, and we have everyone in place like it’s a live 10 o’clock shoot. 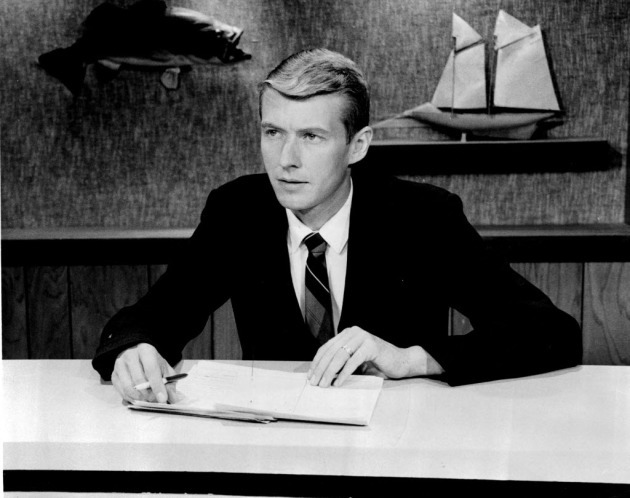 Skip Loescher’s the anchor that night, we do the newscast open and Skip says, ‘And now here’s Hal Scott with details on that big Twins trade involving Bob Allison [a star slugger during the 1960s]. Fritz is survived by his wife, Deb, and children Brad, John and Shelly. Rosen and Shelby are planning to deliver eulogies at a local tribute that will be open to the public. Details are pending.